10" x 12" Genuine Walnut Shield plaque with 18 solid brass heading and perpetual plates. This is a great perpetual plaque that breaks away from the usual rectangular shapes. A truly unique plaque. 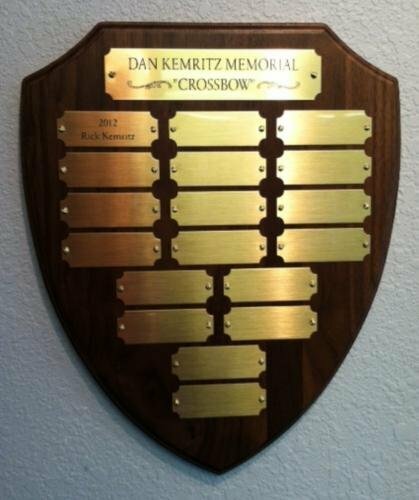 This plaque includes the engraving on the header plate and also the engraving for the first perpetual plate. For best results - Allow up to 3 lines of text for the engraving plates.